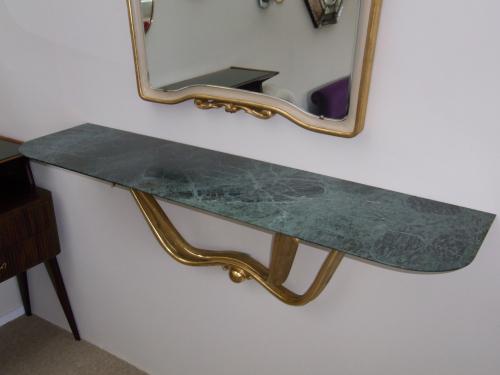 Sensational carved giltwood floating console with scroll supports. Original graduated green marble top with bevelled edge. Italy, 1940`s. Documented piece by Osvaldo Borsani (1911-1985).